JBear isn't Canadian, he's five bottles of Bertolli in a trench coat, so it's okay. Canadian laws don't apply to him. I swear to God there's context for that statement. God I hope there isn't. It's too pure and beautiful on its own. Because there's more than one Goro. So if Pikachu was originally going to have a second evolution called "Gorochu" ... how come I have yet to see fanart where Pikachu does battle with Goro from Mortal Kombat? 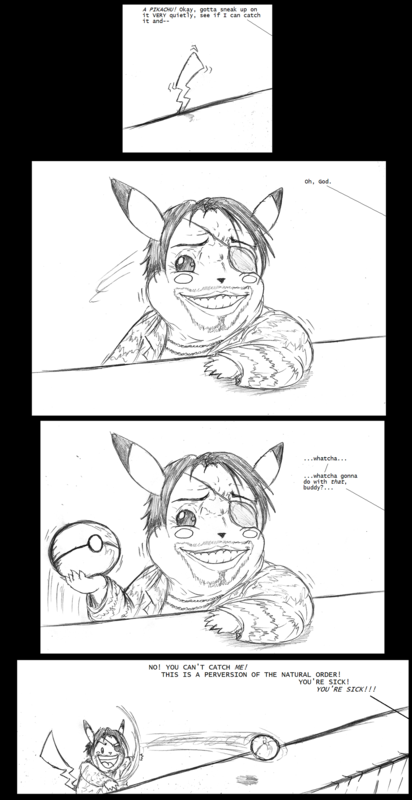 Goro Majima versus a Cosplay Pikachu that's dressed like Goro Akechi while Mortal Kombat's Goro watches with a bewildered look on his face. And will there be a Gordo in the background? Really great horrifying face there! I don't even know what it's a reference to, but I loves it. Goro Majima, the resident lunatic of the Yakuza series. Visit Grabnar the Wanderer's homepage! Whoever or whatever will emerge behind my dumpster when the lights flicker like a strobe light on a Saturday night. Adorable chibi Huell and Saul Goodman sharing subs in the back of a van. They are both very happy. Has anyone said that yet? Gears of War is already 98% of the way there. The Harlem Globetrotters playing basketball against creatures from the Cthulhu mythos. Are we talking Futurama Globetrotters, Regular Globetrotters or the Super Globe Trotters? I hadn't thought of that but now that you bring it up I think all of the Globetrotters need to band together to face this threat. Okay, we know all about the Bowsette meme, now somebody make a Wariette. Here's Princess Shokora's Wario princess form (third column) as inspiration. 4 Non Blonde’s “What’s Up?” being sung by prince Addam from Xenoblade Chronicles 2: Torna - The Golden Country. Last edited by Becksworth; 09-30-2018 at 06:32 PM. 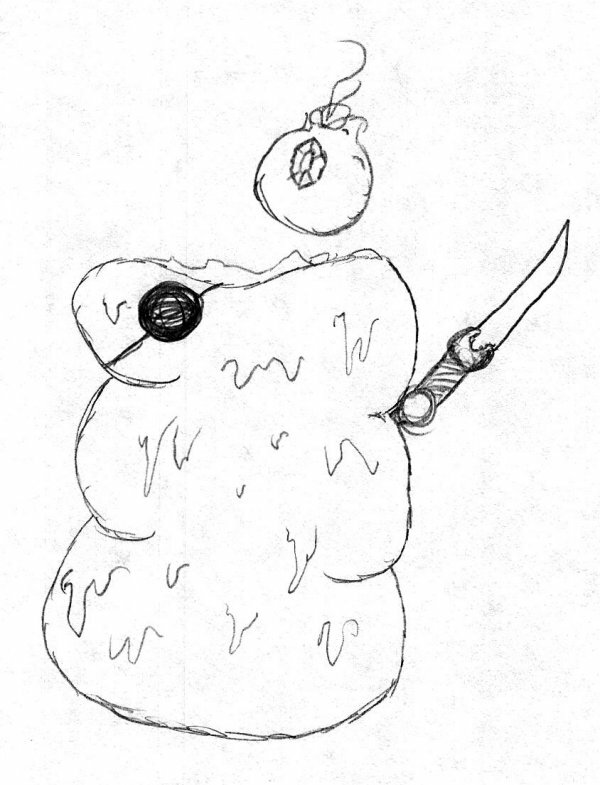 Roguelike-like, which is a to say the Zelda enemy with an eyepatch and a dagger. I have performed this task and will scan it in the near future. I sent a grainy photo onto the TT Discord. Roguelike-like, which is a to say the Zelda enemy wearing a massive red wig with white highlights, a bandana, and an outfit a fabric covering about 2/3rds of its body, all based on Rogue's look in the 90s X-Men cartoon. Scrooge McDuck dressed as a Final Fantasy Dragoon pogoing around on a spear.